A SPATE of dog seizures across Queensland forced the RSPCA to issue a public call to report directly to them about any animal in need of help. 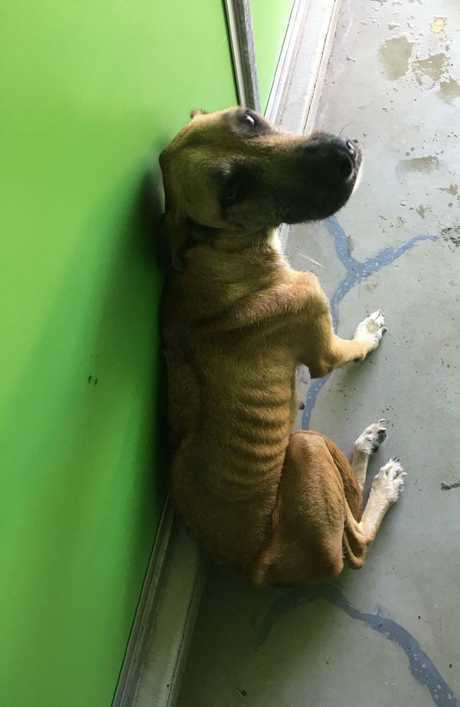 The animal protection agency has released tragic photos to raise awareness for the issue of animal cruelty across the state. 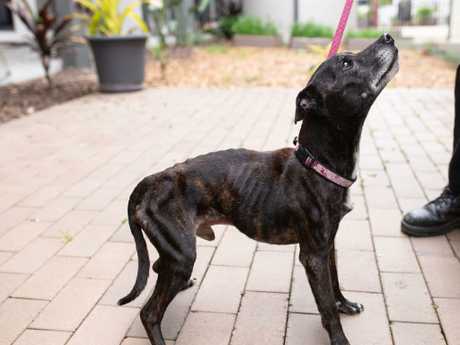 The images show starving dogs with their ribs jutting out, looking frightened and malnourished. 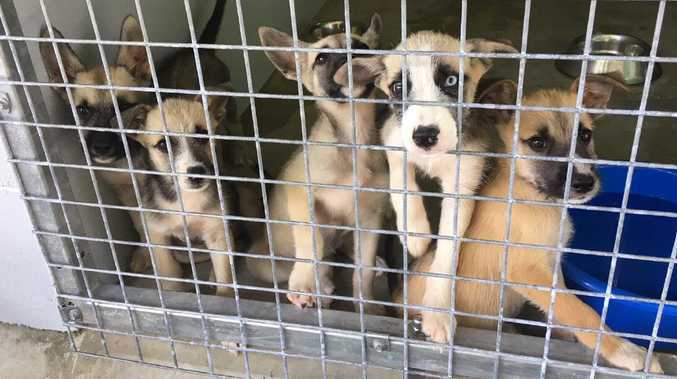 "Sadly we are often forced to take in animals that have been severely neglected but these recent cases have been particularly disturbing," RSPCA Qld Chief Inspector Daniel Young said. "The dogs are emaciated and all have come in within a week. We're not sure what's going on but it's a state wide issue." One dog and five pups were seized in Cairns, another two dogs in Toowoomba and one in Brisbane. "Failure to provide adequate food, water and shelter is an offence and carries a maximum term of imprisonment of one year and a fine of over $30,000. If you are feeding your animal and it is still losing condition you need to take it to a vet," Mr Young said. RSPCA Qld Inspectors investigate over 19,000 cases of animal cruelty and neglect every year. It comes just days after the RSPCA in NSW released graphic images of a pair of neglected dogs that had died in their home. After receiving reports of two dogs locked inside a home, the group investigated and found the pair intertwined with each other, in a laundry where they had been deprived of food and water. The inspector could see them lying on the floor through the window, and entered the home after seeing one of the dogs move its legs, thinking it would need immediate veterinary treatment. Ruby was a six-month-old kelpie and Benji was a two-year-old staffy cross. Benji had put his leg over Ruby's body. Both of them were dead. The RSPCA described it as "one of the most heartbreaking cases we have seen". There was faeces and urine all over the floor. Neglected, the dogs had become emaciated and dehydrated. Their owner Kimberly Thi-My Atwell, a 21-year-old woman from Albury NSW, was convicted of two counts of aggravated cruelty earlier this week. 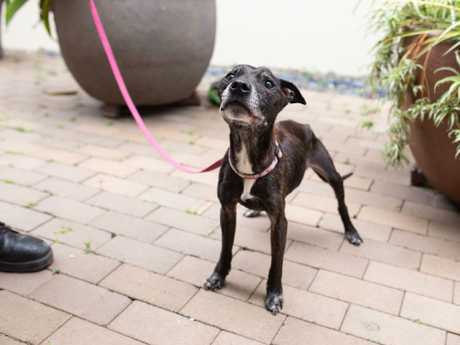 Ms Atwell was ordered to pay just $144, serve 80 hours of community service and the court has prohibited her from owning a dog for five years. Ms Atwell claimed she had been away from the dogs for about two weeks, and had not given them food or water in 11 days. She noticed the dogs had died on the Monday, but hadn't got around to burying them. 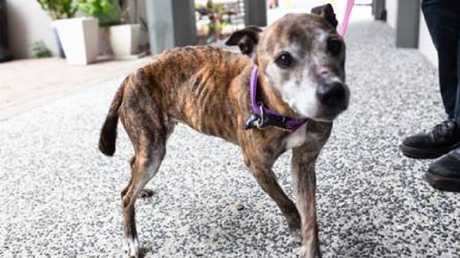 A post mortem showed both dogs were severely emaciated and on a scale of one to nine, with nine being "healthy", they were deemed a "one". Ms Atwell said the dogs were only fed outside, which is why there was no water or food in the laundry, but were otherwise not allowed outdoors.